Shankar (Dilip Kumar), a tangewala, and Krishna (Ajit), a woodcutter, are fast friends in a village that is self sufficient and dependent on a timbre mill for survival. The mill owner’s son, Kundan (Jeevan), wants to modernize and mechanize the business which he does so by getting an electronic saw thus making several workers at the mill redundant. Meanwhile, both Shankar and Krishna fall for Rajani (Vyjayanthimala). A misunderstanding caused by Shankar’s sister, Manju (Chand Usmani), who loves Krishna, sees the two friends fall out and turn into bitter enemies. Kundan introduces a bus in the village thus taking away the livelihood from the tangewalas. The villagers aks him to reconsider but he flatly refuses saying that he would withdraw the bus if Shankar and his tanga are able to beat it in a race. Shankar takes up the challenge, has a short cut built with the collective help of Rajani and the village and wins the race of man v/s machine. Finally all’s well that ends well as the two friends too clear up their misunderstanding with Shankar getting Rajani while Krishna gets Manju. Naya Daur is arguably BR Chopra’s finest, best known and most successful film. The film is a quintessentially Nehruvian film that fitted in nicely with the new initiatives in economic planning and rural community development in the first decade of Indian independence. 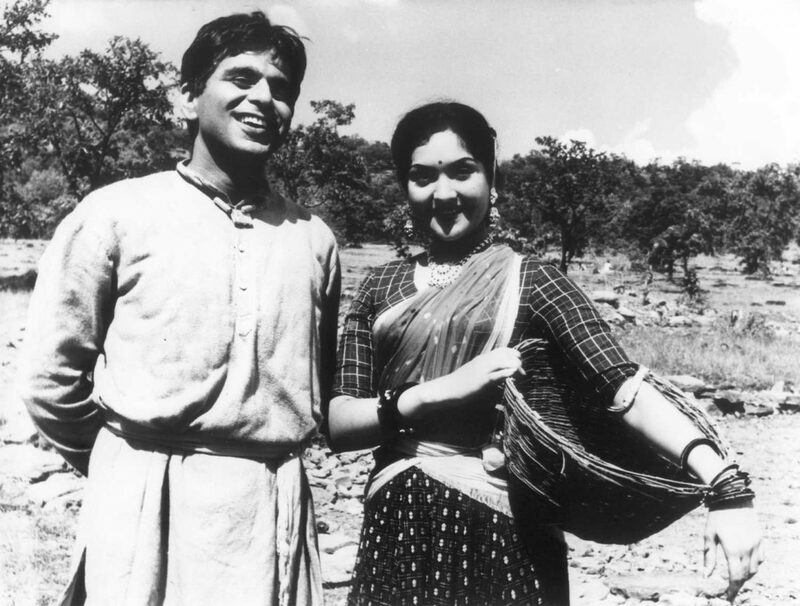 As India moved on, in early years of independence, even the establishment of rural life in Naya Daur as against earlier films like Mela (1948) is different. The village shown in the film is now bustling and self-sufficient at the outset with much activity going on. A certain pride in the still developing nation is seen as embodied by the song – Yeh Desh Hai Veer Jawanon ka. Even the rural hero, Shankar, is now the active, dynamic go-getter who challenges the villain to a race, wins by building a short-cut with the help of his supporters from the village and what’s more, gets the girl at the end of the film. The conflict in the film arises when Kundan gets an electronic saw and a bus into the village that makes the villagers redundant, leaving them without a livelihood. The film thus compels the viewer to consider the fate of those displaced by the unrelenting march of progress. Thus ironically in the film, it is the ‘villain’ who favors the nationalist modernization argument while the hero uses collective strength to overcome the fear of change. But even if Naya Daur is a ‘socially relavant film’ that sees brave and traditional rural heroes taking on the might of modern city-clickers, it primarily remains a mainstream Hindi film at heart showing the triumph of the human spirit. And so social issues aside, it also centres around the romantic triangle of Dilip Kumar, Vyjayanthimala and Ajit with songs, dances, fights, comedy – the works – but extremely well-blended into the narrative, one must admit. One has to admire Akhtar Mirza’s effective screenplay in this regard, in particular the Dilip Kumar-Vyjayanthimala track that is extremely well-worked out. The highlight of the film is the climactic bus v/s tanga race which holds up quite well even today as the race is intercut with cheering villagers and has all the drama as Chand Usmani and Ajit valiently hold up the bridge the latter had destroyed, so that the tanga can go over it. This is because the the race is involving and has you rooting for the underdog and you cannot help but feel good at the end as man finally defeats the machine! Naya Daur sees fine lead performances from Dilip Kumar and Vyjayantimala. It was BR’s good friend Ashok Kumar who suggested Dilip Kumar for the film and put in a word with him to hear out the story. Dilip Kumar, though initially reluctant, agreed to do the film once he heard the story. He is spot on in the film as the sensitive but tough hero, a natural leader of the village who takes on the challenge of development and progress at the cost of humanity. He went on to win the Filmfare Award for Best Actor that year. Vyjayanthimala comes across as that rare breed of Hindi film heroine, one who has a mind of her own. 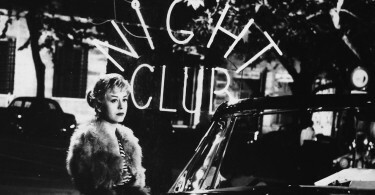 She shows a strong independent streak inside her in the film. Though Shankar is willing to give her up for his best friend who also loves her, she refuses to be a pawn in their game of friendship. Even later on, she joins his struggle on her own rather than it being foisted on her. Interestingly, Vyjayanthimala wasn’t the first choice for the film. The film was launched with Dilip Kumar and Madhubala at the height of their romance. The pair even finished the first schedule in Bombay, which went off smoothly enough. This was was to be followed by a 45-day schedule around Bhopal, and another one in Poona. However Madhubala’s father, Ataullah Khan, refused to let her go out of Bombay citing her ill-health as the cause though the actual reason was that he thoroughly disapproved of her romance with Dilip Kumar and did not want them to go outdoors for such a long period of time. Chopra then dropped Madhubala from the film, replacing her with Vyjayanthimala. An enraged Ataullah Khan took Chopra to court. The case made headlines as Dilip Kumar sided with Chopra against Madhubala even though he loved her saying the film could not be made without the Bhopal schedule. When the movie was released, the judge saw the film and maintained that Chopra and Dilip Kumar were right. The film could indeed not be done without the Bhopal schedule, he declared. Madhubala lost both, the case and Dilip Kumar. The lead pair are ably supported by Ajit, Chand Usmani, Leela Chitnis. Jeevan makes a good villain and Johnny Walker lights up the screen whenever he is on. On the technical side, special mention must be made of MN Malhotra’s superb on-location photography. The film is a musical high for OP Nayyar and lyricist Sahir Ludhianvi. Each of the songs in the film was a raging hit and won OP Nayyar the Filmfare Award for Best Music. 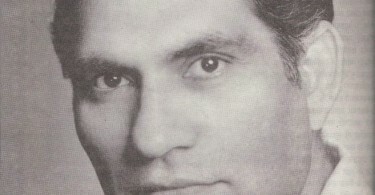 Naya Daur sees Nayyar use several Punjabi rhythms especially from the Bhangra folk dances – Udhein Jab Jab Zulfein Teri (Asha Bhosle-Mohammed Rafi), Reshmi Salwar Kurta Jaali Ka (Asha Bhosle-Shamshad Begum) and Yeh Desh Hai Veer Jawanon ka (Mohammed Rafi-Balbir) besides his signature ‘tanga’ song – Maang ke Saath Tumhara (Asha Bhosle-Mohammed Rafi). Another extremely well composed song is the Johnny Walker ditty, Main Bambai ka Babu (Rafi). But the piece-de-resistance of the film is undoubtedly Saathi Haath Badhana (Asha-Rafi), a typically left leaning collective call for people to join hands and work together. The other person for whom Naya Daur is a triumph musically is Asha Bhosle. 1957 was her breakthrough year when OP Nayyar used her to sing the heroine’s songs in Tumsa Nahin Dekha and Naya Daur and SD Burman too gave her the heroine’s songs in Paying Guest and Nau Do Gyarah, as they both groomed her into a playback singer par excellence. Recently the film was colourized and re-released but did not do well at the box office. The colorization was hideous and is a potent reminder that some classics like Naya Daur are best left untouched. All in all, the original is a fine film by a fine filmmaker. When An Italian Prostitute Pipped The Virtuosity Of Indian Womanhood! I’m sorry but wasn’t it Chand Usmani’s character ‘Manju’ who was holding the broken bridge with Ajit’s character ‘Krishna’ instead of Vyjayanthimala’s character ‘Rajni’ during the race? You’re right. It was a slip on our part. We’ve corrected it.